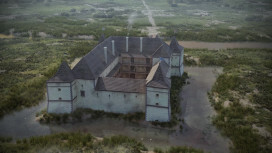 Castle of Egervár - Pazirik Informatikai Kft. | Pazirik Informatikai Kft. The first mention of the castle dates back to 1288, when Nicholaus son of Ban István gave it to John palatine in return for another estate. In 1325, the owners were John and Michael from the Geregye genus, who later took on the name Egervári. 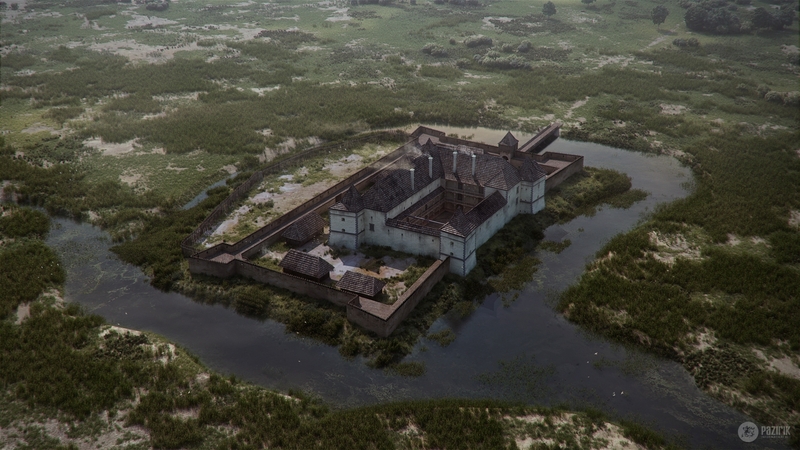 According to a document from 1409, the sons of Ban Henry destroyed the castle. For its reconstruction, King Matthias Corvinus gave a permission to László Egervári Croatian Ban in 1476. 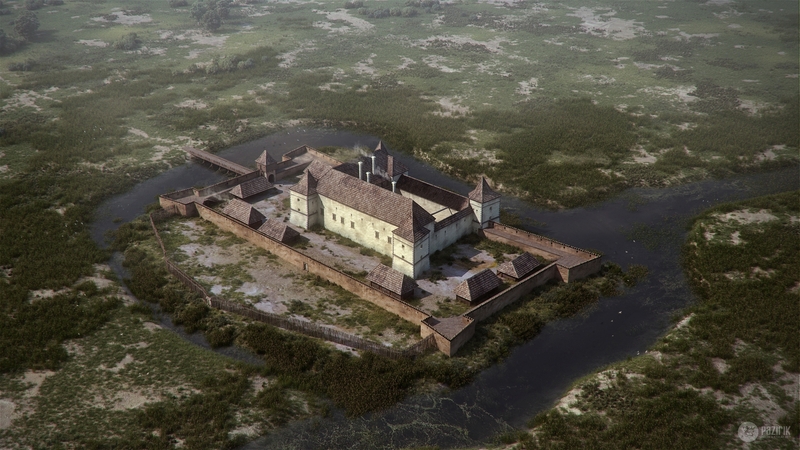 In 1539 Orsolya Kanizsai, wife of Thomas Nádasdy inherited the castle which was in a bad shape. 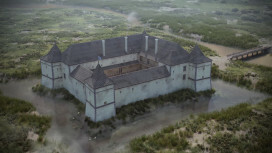 After Kanizsa fell in 1600, Egervár became a border fortress, so its military significance rose. It successfully withstood a Turkish siege, but the Turks managed to burn it later that year. 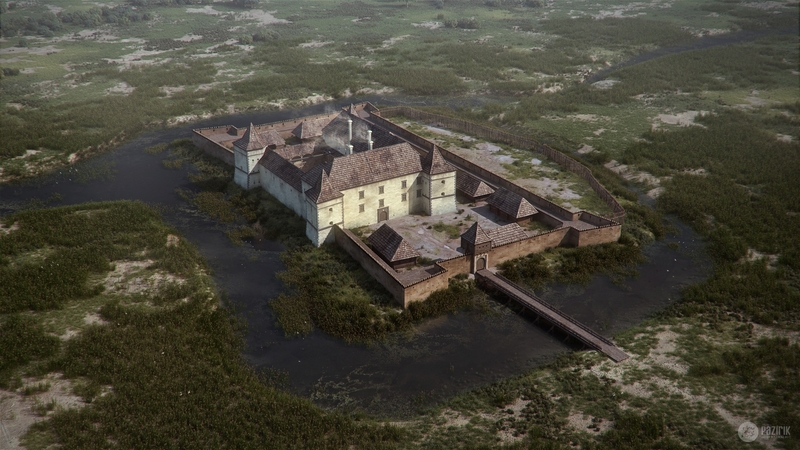 In 1671 the castle got into the hands of the emperor by reason of the Wesselényi conspiracy. Between 1674 and 76 the tenant, Abbot Mathias Radonay of Zalavár had the damaged building repaired. In 1676 the castle was given to Archbishop George Széchenyi of Kalocsa, who continued the construction. 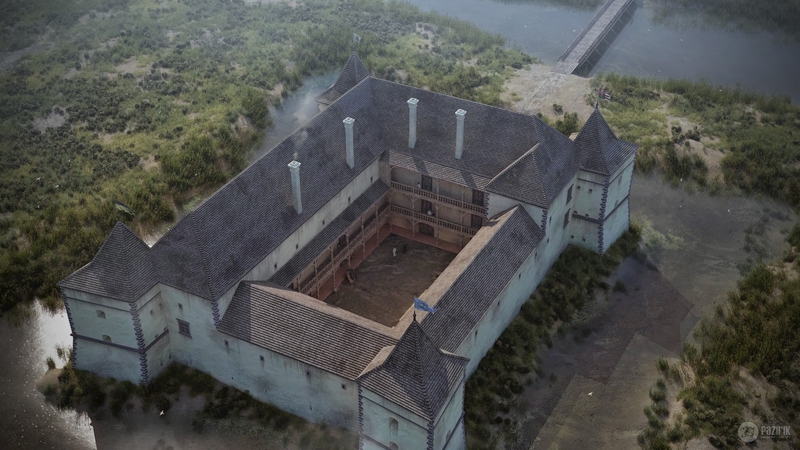 In 1712 the castle was owned by Sigismund Széchenyi, who carried out significant repair works on it. After a fire in 1760, the building had to be rebuilt once more. In 1787 the building was again in a bad shape, and some parts of it were used as a granary. The owners didn’t dwell in it and the drying up of the swamp around it dried out the wooden piers in the base of the building. Later it has been renovated in the 20th century and not long ago it received an EU assistance to be completely renovated. 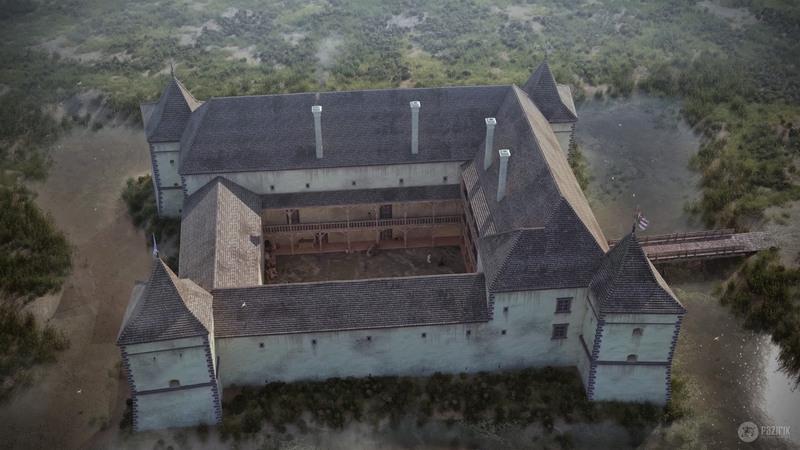 Our reconstruction model has been created along the archeological knowledge of the castle up to the 2014 excavations. 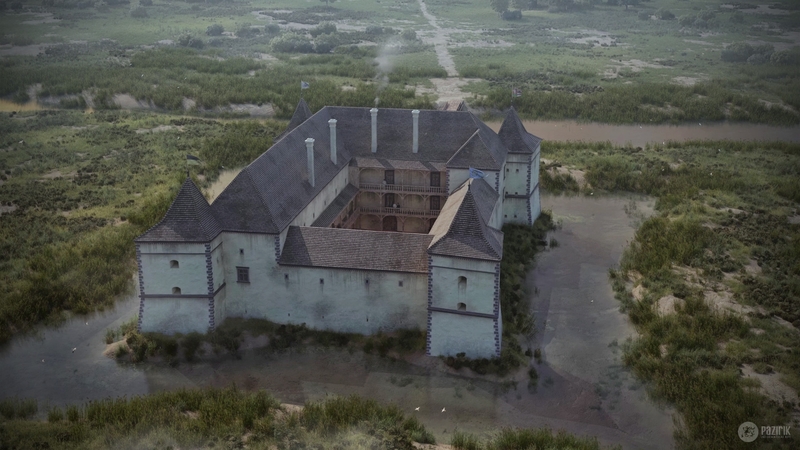 Lately some new evidence came to the surface that will slightly change our understanding of the surroundings of the castle. 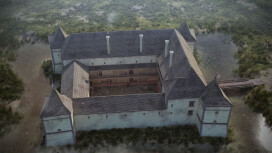 The reconstruction has been prepared by Balázs Szőke.